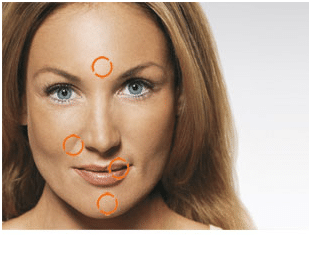 The Solihull Medical Cosmetic Clinic offers a wide range of injectable fillers, which are safe and semi permeable with almost no possibility of long term complications. Dr. Sagoo has been trained in advanced injectable filler treatments, having carried out hundreds of treatments over the last seven years. He has been recognised by Mertz Aesthetics pharmaceutical (manufacturer of the world’s leading injectable filler) as one of the experienced advanced injectable filler doctors in the UK. 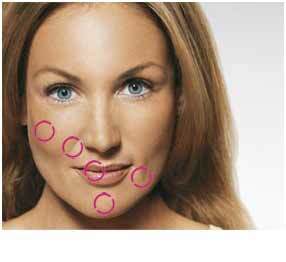 Dr. Sagoo has a vast experience of facial contouring. As many clients prefer to have only experienced doctor administered filler treatments (and not be treated by a nurse), Dr. Sagoo treats and reviews all his clients himself. Hyaluronic acid is a substance which occurs naturally within the body and skin. It is involved with water in the skin to create volume. After about the age of twenty five, the body slows down its production of hyaluronic acid, and water is lost from the skin. This leads to volume loss with the skin, thereby creating facial lines, folds and wrinkles. A non-animal based stabilised hyaluronic acid can be administered by injections under the folds and wrinkles, where it may join forces with the body’s own hyaluronic acid to create volume and lift up the wrinkle. i.e. it is a ‘filler’. There are multiple forms of hyaluronic acid available. Some work well for fine lines and wrinkles (around mouth areas), others are better for laugh lines and enhancing lips, and still others are indicated for very deep lines and for facial augmentation. For wrinkle treatment, no anaesthetic is required; however, when enhancing the lips, an anaesthetic in the form of a nerve block is generally required. After treatment, there will be slight swelling, redness and bruising, which usually subsides after a few days. The results from a hyaluronic acid filler will usually last between six and twelve months for wrinkles, but around the lips, the results may only last up to about six months. Dr. Sagoo has trained in advanced techniques of hyaluronic acid injection, using the newest products currently available (including those indicated for facial contouring and augmentation). These products should be administered by a trained doctor only, to give the best chance of achieving optimum results. These injectable fillers may help with adding volume to the lips or the face. Smoker’s lines – so called because they are formed as the result of pointing the lips to draw on a cigarette or to kiss, for example. Mouth-to-chin lines – the lines that go from the corners of the mouth to the chin and jaw line. The so-called Marionette lines may give you a sad and tired expression. There is also a new type of injectable product that may improve the appearance of facial lines and wrinkles, and may also aid in restoring volume in and around the cheeks and providing lip definition. It contains hydroxyapatite, a compound that is naturally found in the bones of the body and is non-animal based (meaning that it is very unlikely to cause an allergic reaction). It may offer more volume than other fillers, as it has a matrix that acts like ‘scaffolding’ to hold up the skin. Its main advantage is that it may last up to two years and may improve the appearance of jowls, may help with nose reshaping, chin definition as well as fine lines and wrinkles. It is not used to volumise lips. 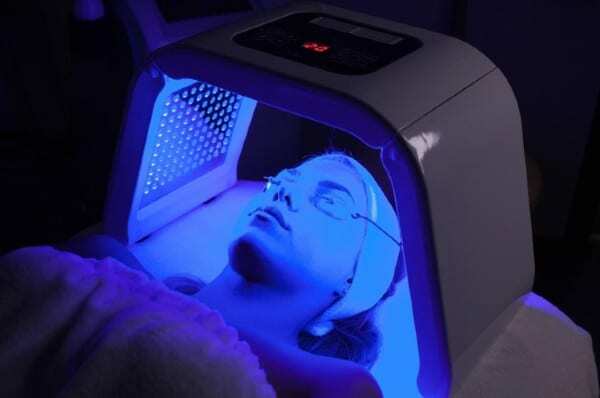 Dr Sagoo administers the product and will review after each treatment. Like all injectable fillers, swelling or redness can occur with mild bruising, which is generally temporary and nearly always resolves completely. Dr Sagoo is trained to carry out a whole range of injectable fillers for lip enhancements and facial augmentation. As there are over 50 different types of injectable fillers available, Dr Sagoo will discuss the appropriate one at the initial consultation. This lady has been my patient for the last three years and as well as having muscle relaxing injections and laser resurfacing she has maintained her appearance through facial contouring and non surgical face lift with Radiesse. For further information and a free consultation with Dr. Sagoo please call us on 0845 603 6150.